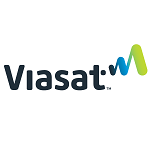 Viasat has updated its Link 16 communications products to include concurrent multiple reception features designed to help radio users to simultaneously receive multiple messages. The company said Wednesday it completed the integration as the U.S. military seeks CMS-based systems that could help warfighters access mission-critical information via the tactical data link. CMR Link 16 offerings will work support military devices built to process tactical information and seek to address network congestion, according to Viasat. Ken Peterman, president of government systems at Viasat, said the company uses a "non-developmental item" business model to develop new technology faster in support of military programs. The company implemented CMS features in the Move out/Jump off gateway platform, the AN/PRC-161 Battlefield Awareness and Targeting System-Dismounted radio and the KOR-24A Small Tactical Terminal.